Ever since Australian retailer GAME leaked listings for both LittleBigPlanet 2 & Uncharted on PSP, gossip has been going on about whether these games are really in development or not. But the question is: Is Sony already gearing up for their next title in the LittleBigPlanet Franchise? Well folks, the answer is Officially YES. 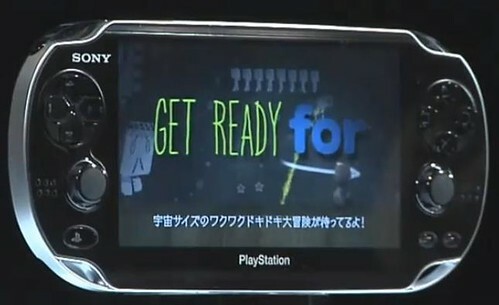 Today in Japan, Sony finally revealed the Playstation "Next Generation Portable" aka NGP, which is only a codename for now which may eventually be replaced by "PSP2" or something in relation to it being the successor to the original PlayStation Portable line. The NGP has already raised the bar for the PSP with new key features such as multi-touch OLED screen, two touch panels on the front and rear of the device (as well as two cameras on both the front and back), dual analog sticks, WiFi & 3G connectivity, three motion sensors, a gyroscope, accelerometer, and electronic compass, and a much improved window of PlayStation Network access. Not to mention that Sony has apparently been advertising the face that its titles can use graphics as good as the ones you see on the PS3. However, possibly the most exciting part for us LBP fans about all this is that PlayStation has officially confirmed a new "LittleBigPlanet" game in development for their Next Generation Portable handheld. Although amongst all the news we did get to see a glimpse of LittleBigPlanet on the NGP, it appears to have just been bits of trailers for LBP2 on the PS3, sized-down and put into their promotional videos. Unfortunately, this is all we know for sure at this time, but our guts tell us there is a good chance of SCE Cambridge Studio returning to develop LBP2 for PSP2 with the help of Media Molecule. We have contacted Media Molecule for comment on the story and will update the story in case we receive any more important information from them.